Cassandra was born and raised in Downingtown, PA and completed her master’s degree in Physician Assistant studies at Arcadia University. 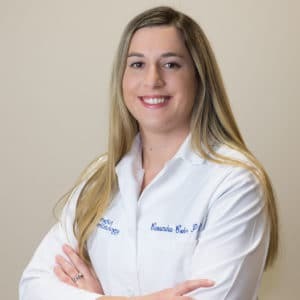 She is a nationally certified Physician Assistant and is an active member of the Society of Dermatology Physician Assistants. Cassandra takes particular pride in the treatment of acne since the condition significantly impacts patient’s self-confidence and self-esteem. She knows patients often feel their best when they look their best. When she is not in the office, Cassandra enjoys living an active lifestyle with her husband.